Dynamic Shadow Projector | Nyahoon Games Pte. Ltd. 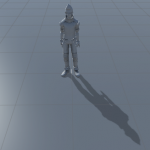 This simple Unity asset provides a few components to render a shadow onto a render texture so that the render texture can be used with Blob Shadow Projector. Blob Shadow Projector is usually used for dropping a round blurry shadow which is not suitable for a skinned mesh object. 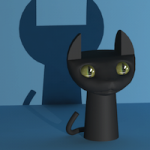 This asset enables a projector to drop a dynamic shadow which is perfect for skinned mesh objects. Below images are examples of shadows generated with this asset. 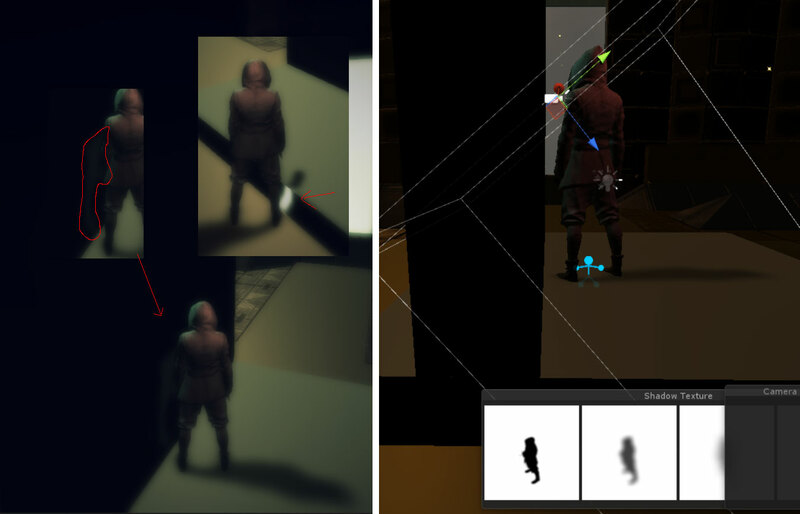 As shown in these images, this asset can generate various shadows such as a hard shadow (left), a soft shadow (center), and a blob shadow (right). This asset can be a good alternative of shadowmap for mobile platform, because it doesn’t require depth textures, and it works on almost all devices. However, Blob Shadow Projector can be very slow on mobile platform. If you are satisfied with the quality of the shadows but not satisfied with the performance, please try our another asset, Fast Shadow Receiver. It really improves the performance of Blob Shadow Projector. Is Dynamic Shadow Projector part of the Fast Shadow Receiver plugin, or is it a separate plugin? When will it be available? Also, does the Dynamic Shadow Projector support multi-shadow casting from multi-directional lights in the scene? This would be a huge plus and make the asset extremely valuable. Dynamic Shadow Projector is a separate plugin, but it will be free. I will submit this asset this weekend. I hope it will be on Asset Store in a week. It is possible to cast multi-shadow, you will need a projector for each directional light. Thank you for the information. I’m looking forward to using it. Will we be able to combine this with Fast Shadow Receiver, or are they used separately? It is now on Asset Store! Thanks for waiting for long time. But it still have a bug (a memory leak). I will update the asset soon. I assume the memory leak was fixed some time ago? Yes, it was fixed in version 1.0.1. Hi, I’m trying to make car headlights shadows, but when i set up everything I get sharp shadow at projectors borders. How can I get the borders soft like the rest of the shadows? I wanna buy the Receiver but I have to be sure that it works as I want. Hi, thank you for using my asset! Are you using SpotlightWithShadow shader for your headlights shadows, like Spotlight sample? If you want to make the shadows softer, please try to make the light cookie texture more blurry. Then, the borders will look more natural. Hello, if I add your projector to a mesh, the tris count doubles. Is there any way to minimize this number for mobile? A projector acts like a camera. So, if you add a projector into your scene, that means you add a special camera into your scene. It will increase the actual count of tris, but it seems like the tris count displayed in the stats window does not count the triangles drawn by a projector. So, I guess the reason why the tris count doubled is you have a hipoly character and tris count for rendering shadow texture doubled the tris count. It is inevitable if you want to have a dynamic shadow. Using shadowmap will also double tris count. If you want to reduce it, please consider using a low-poly character for the shadow. first, thank you very much for creating this plugin! it is exactly what i have been looking for and works great! Thanks! at the moment i am facing one problem: i have a plane in the scene which is the shadowreceiver and it uses the “light with linear fallof” shader. when i create another plane underneath of my shadowreceiverplane and assign a Unlint/Transparent shader to this second plane, the shadowreceiverplane gets invisible. i tried already pretty much, but it is always the same, when the second plane unterneath get a shader with transparency. can you help me out here or give me a hint how to solve that problem? The default render queue value of the “light with linear falloff” is “Transparent-1”. That means shadowreceiverplane will be drawn after all the opaque polygons are rendered, and before any of transparent polygons are going to be rendered. Also, it doesn’t write z value on depth buffer. So, it is easily overdrawn by transparent polygons. I guess, that is the reason of your problem. To solve the problem, you can change the render queue value of the material. Please try material.renderQueue = 3000; 3000 means “Transparent”. The basic demo runs but with the following errors. It won’t do a build. Could you tell me about your environment (OS, target platform, Unity Version, etc.)? I can’t reproduce the problem. I follow the tutorial to setup shadow projector. Can you try to change Multi Sampling to “x1”? Another person reported me that Multi Sampling caused a crash on a specific device before. Please let me know if it works or not. I’ve tried to change Multi Sampling to “x1″ but Unity still crashes. Maybe you miss a camera in the Scene! Yes! I don’t have camera in my scene hierarchy (Due to some reason, I create camera at run time). After I put camera in scene hierarchy, everything works fine. Thanks a lot! May I consult a question? If I have 2 models, model A & model B project their shadows on floor. But some part of model A is cover on model B, can I project model A’s shadow on model B too ? How to do it? Hi Iceman, thanks for the information! Yesterday, I could not reproduce the crash, but somehow, I could get the crash today. I sent a bug report to Unity already. Hi Kidd, you might need to use different layers for object A and B, and only the layer of A should be ignored by the projector of A. Whatever you (and I) did, Unity should not crash. Try the latest version of Unity, and if it still crashes, please send a bug report to Unity. I cannot reproduce the crash on my PC. By the way, can you open and play a sample scene? Also, try another shader for the material. Really liking the projector, but I am running into one problem. When I put the shadow caster onto my character and stand close to a wall, I see an inverse shadow going in the opposite direction on that wall. I have discovered that turning off HDR on my main camera fixes this, however, I definitely need HDR in my game. It seems that the ortho camera attached to the shadow caster when partially inside a wall creates this strange effect. Is there any trick to fixing this? I’ve fiddle around with the settings a lot and cannot find a simple solution. If this does not work, would getting the fast shadow receiver prevent this problem? Thank you for using our asset and letting me know about the problem. I had not considered about floating point render target. Maybe I need to fix my projector shaders. Can you try the following fix? I hope it can fix the problem. Also, it might be better to push the near clip plane of the shadow projector up to the feet of the character. Excellent! Thank you. Yes, it worked. Great response time also! Loving the way this is working! Hi, due to the nature of my game I do not wish to use the lighting system on my character, so I was very happy to have found this asset, however, when I went to add in NPC characters I discovered that simply duplicating the projector and changing the target does not work the way one would expect. Rather than being separate, it seems like all the projectors are linked somehow? Is there a way to fix this so that my NPC characters can also have dynamic shadows? This is because you are using a same material for all the characters. As a result, all the characters share the same render texture. This problem will not happen when you run the scene, because the material will be duplicated at runtime. If you want to fix this problem in Editor, please duplicate the material for each character. The projector has been working great until I updated from 5.3.3 to 5.5. RenderTexture.Create failed: format unsupported – 5.
any guidance or help here? This is pretty important to my project and I don’t want to ditch this projector. I see you recently updated, but the package is using Unity 5.0.1. I think I figured out the problem. You have to make the draw target the skin of your animated character and not have it be targeted to the shell (like before). The second error in the tutorial can be eliminated by turning off the blob shadow sample. Not sure what that’s all about. Thanks, sorry for clogging up your boards with this. Hi, thank you for telling us about the problems, but I couldn’t reproduce them so far. Does the shell object have any invalid renderers? The first error means there was a renderer that has a null material or a null shader in the shell object or in its children. I got this Volumetric Light script that uses the built in shadow. It won’t work unless I have the Light Shadow set to either Hard or Soft. Is there a way to edit the shadow from the Light object instead of the one from the projector? Amazing asset by the way! Thank you for using our asset! 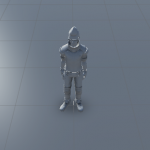 This asset uses a projector to cast a shadow, not a light, so built in shadow must be turned off. If you cannot see any shadow unless you set either Hard or Soft to Light Shadow, that means something was wrong with the projector setup. Please check if the projector has a right material. First of all I want to thank you for the complex and very useful asset, but I seem to have a single issue. If there is something placed between the projector and the shadow casting object, that thing gets shadowed. Is there a way to avoid that? Does your paid plugin handle such situations? Thanks for the comment. That is a common problem of a projector. You can set a larger value to the near clip plane of the projector. This value is not used for the shadow texture rendering, so the shadow casting object does not need to be entirely covered by the near clip plane. Does Dynamic Shadow Projector work with iOS? Sorry I was trying to find information but I couldn’t see anything. Yes, it should work on any platform. Do you have any problems? Yes. The shadows work on Android but they are not visible in iOS. Do you think it may be something in my build settings I need to look at? Which shader do you use for your projector? Mipmapped shadow shader will not work on some devices. However, as far as I know, it should work on iOS devices. Please ignore those error messages. You will get those errors only in edit mode. ShadowTextureRenderer calls Camera.Render function to render shadow textures in edit mode, but in game mode, the camera renders shadow textures normally and Camera.Render is never called. It seems like the error message is always shown when Camera.Render is called in Unity 5.6. Thank you for the quick response this great asset! Thank you for the bug report. I will investigate this problem. 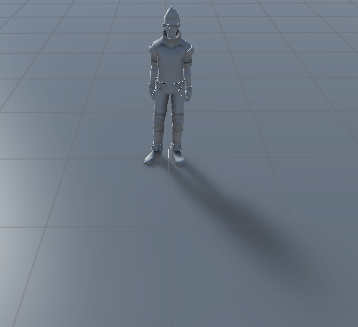 I’m really enjoying your Dynamic Shadow Projector, but I’m having some issue after upgrading to Unity 5.6.1. All my shadows are now just black squares. Just thought I would let you know in case no one has reported it yet. Thank you for your bug report. I will investigate this problem. I have the same bug using Unity 5.6. Have you managed to solve it? No. Please use Unity 5.6.0 or lower for now. I already sent a bug report to Unity. Which version of the asset are you using? Version 1.0.6 has workarounds for Unity 5.6 bugs. I’ve just upgraded to the latest version but am still getting the same issues as the previous. Perhaps there was a mistake with the .unitypackage upload or something? I confirmed that Unity 5.6.0f3 doesn’t have the issue. Actually, Unity 5.6.0p4 had the same issue. This bug must be introduced at this version. That’s odd, I was getting these issues with the Unity 5.6 beta as well a few months back. Odd that 5.6.0f3 would be OK whereas p4 isn’t :/ Maybe they took something out of the beta for the initial release that went back in with a patch. This issue is very similar to the bug of Unity 5.6 beta, but different one. The workaround I added no longer works for this issue. Hi! I use Unity 5.6.0f3. Unlike shadow map, Projector doesn’t use depth information, and it cannot be fixed. You can use light map for static objects. Then, it might look more natural. You mean overlapping shadows? That is also a common problem of Unity’s projector, and handling this problem is beyond the scope of this free asset. From Unity 5.6, shadow mask is available, and if you can use it in projector’s shader, you might be able to handle this problem. However, it is a bit complicate. You will need to duplicate a projector for each static shadow receiver so that the projector’s shader can read a baked shadow mask texture. For some reason the shadow textures don’t seem to update when the object rotates. In version 1.0.6, shadow textures are not updated automatically. 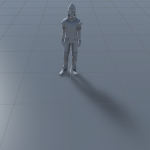 Please select the shadow projector object in Hierarchy view to update the texture. I will fix this problem in the next version. Thank you for your comment. 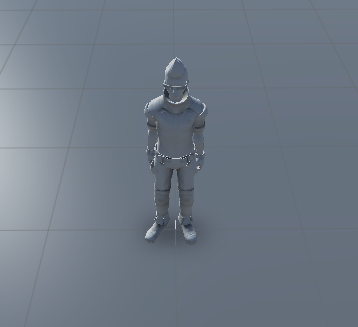 Actually, this asset has a problem in Unity 5.6.1, and we couldn’t find any workarounds so far. We believe this is a Unity’s bug, and we sent a bug report already. Please use Unity 5.5 or Unity 2017 for now.